Last week I ditched my crop tops and bikinis for thermals and as many socks that would fit in my snow boots. Jumped on a plane and headed to Fairmont Château Frontenac in Quebec City! Getting there was a little more difficult than expected. 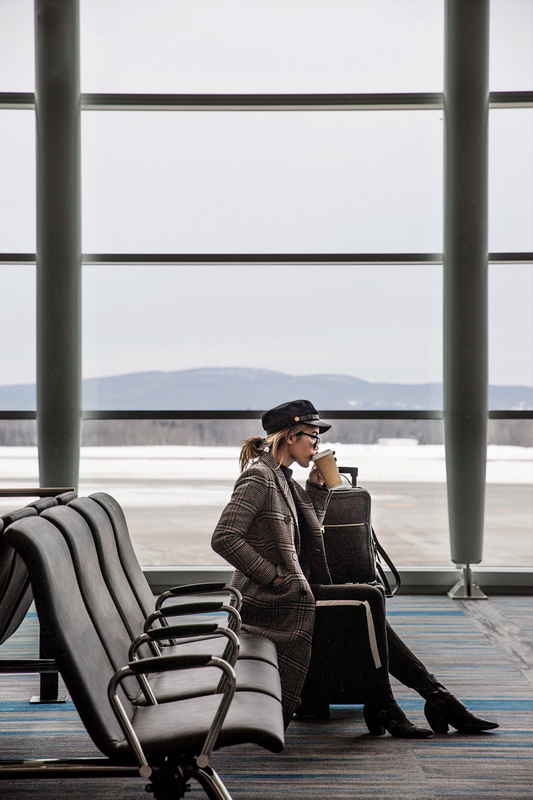 I had my first experience missing a connecting flight and having to spend the night at an airport hotel. So can I technically now say I've been to Toronto?? After a short night of sleep and a welcomed plate of French fries, we finally made it to Quebec City! 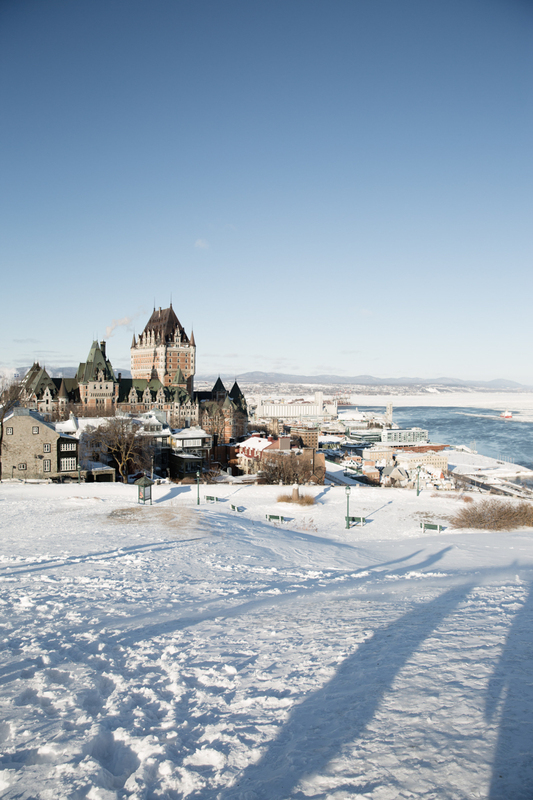 When we pulled up to the Fairmont Château Frontenac it was just as breathtaking as the photos. Nestled in the middle of what I only could describe as a winter wonderland, I couldn't wait to experience the next few days at the hotel in the town. Our first evening was the 125th Anniversary Gala for the Fairmont Château Frontenac. They really went above and beyond for the celebration. Five rooms each with their own theme and decor. It was like the best best maze I've ever been through. Obviously spent the most time in the dessert room. It was amazing to hear the rich history of the hotel while simultaneously eating the best food. The next day we hopped on a bus and toured the city. The hands down best part was visiting the Ice Hotel which yes, is an actual hotel that people sleep in overnight! 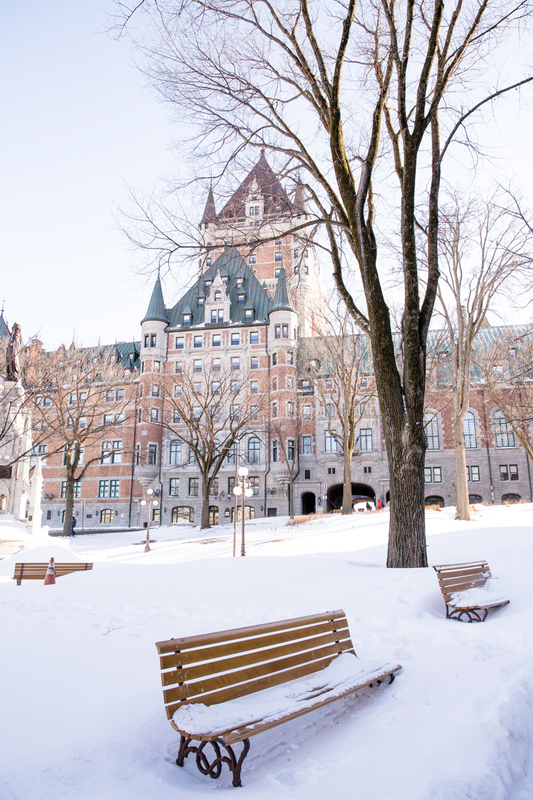 I feel very lucky that I was able to experience the most photographed hotel in the world, attend Quebec's annual Carnival, and finally see snow this winter. Will be hard to top this one!